There are many ways to reach happiness, though including training your mind for happiness, spending money on others to promote happiness, and following the code to well-being and happiness. 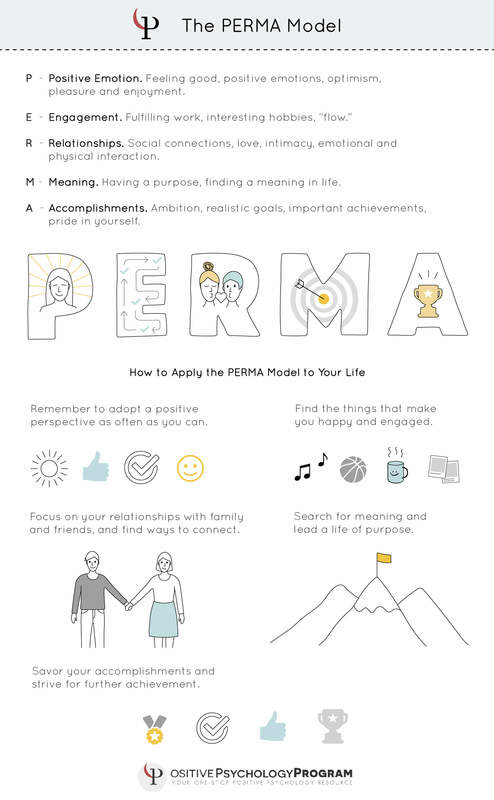 The PERMA model was designed by Martin Seligman, founder of positive psychology, with five core element of psychological well-being and happiness. Seligman believes that these five elements can help people reach a life of fulfillment, happiness, and meaning. This model can also be applied to institutions to develop programs to help people develop new cognitive and emotional tools. This element of the model is one of the most obvious connections to happiness. Being able to focus on positive emotions is more than just smiling, it is the ability to be optimistic and view the past, present, and future from a positive perspective. Distinguishing between pleasure and enjoyment is important in this element of the model. Pleasure is connected to satisfying bodily needs for survival; such as thirst, hunger, and sleep. Whereas enjoyment comes from intellectual stimulation and creativity, for example when a child completes a complex lego car that requires his concentration, he will be beaming with joy and satisfaction from his work. It is important in our lives to be able to find activities that need our full engagement. Engagement in the activities in our lives is important for us to learn, grow and nurture our personal happiness. We all need something in our lives that entirely absorbs us into the present moment, creating a ‘flow’ of blissful immersion into the task or activity. 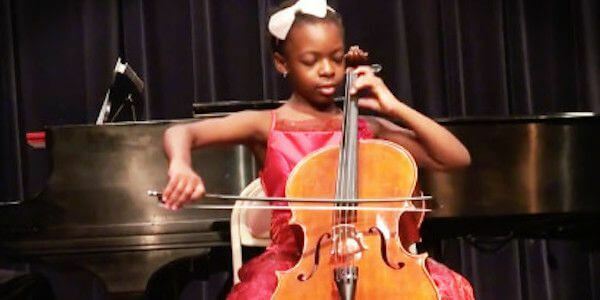 This type of ‘flow’ of engagement is important to stretch our intelligence, skills, and emotional capabilities. Relationships and social connections are one of the most important aspects of life. Humans are social animals that thrive on connection, love, intimacy, and a strong emotional and physical interaction with other humans. 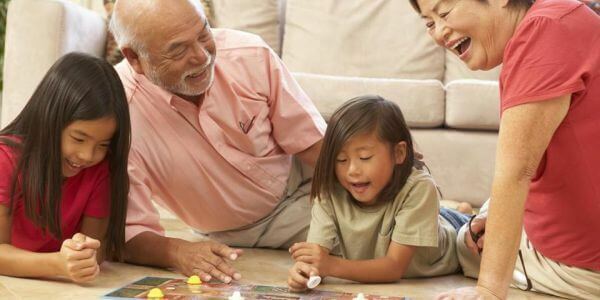 Building positive relationships with your parents, siblings, peers, and friends are important to spread love and joy. Having strong relationships gives you support in difficult times. In an interview with Dr. Mitch Printein’s about his course on the psychology of popularity, he mentioned that there has been researching that shows that pain centers in our brain become activated when we are at risk of being isolated. This is because, in an evolutionary perspective, isolation would be the worse thing we could do for survival. Having a purpose and meaning to why each of us is on this earth is important to living a life of happiness and fulfillment. Rather than the pursuit of pleasure and material wealth, there is an actual meaning to our life. Such meaning gives people a reason for their life and that there is a greater purpose in life. To understand the greater impact of your work and why you chose the pursuit that work will help you enjoy the tasks more and become more satisfied and happier. Check out Itai Ivtzan’s Awareness-Meaning Therapy that helps people find profound meaning in themselves and their lives. Having goals and ambition in life can help us to achieve things that can give us a sense of accomplishment. You should make realistic goals that can be met and just putting in the effort to achieving those goals can already give you a sense of satisfaction when you finally achieve those goals a sense of pride and fulfillment will be reached. Having accomplishments in life is important to push ourselves to thrive and flourish. 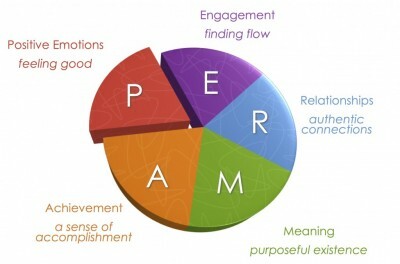 Being aware of the PERMA model is the first step to applying this theory to your life. Keep referring back to the 5 elements of the model to help you apply it to each aspect of your life. Remember to think in a positive perspective at home and at work. Find the things that make you happy and can make you fully engaged. You could even put goals to achieving more and challenging yourself in the activities you enjoy. Focus on your relationships with your family and friends by finding ways to connect and enjoy each others company. Find the meaning to your life and what gives you a sense of purpose, it’s different for everyone. Prinstein, M. (2015). The Psychology of Popularity: An interview with Dr. Mitch Prinstein [Skype interview]. Slavin, S. J., Schindler, D., Chibnall, J. T., Fendell, G., & Shoss, M. (2012). PERMA: A model for institutional leadership and culture change. Academic Medicine, 87(11), 1481. Here. The PERMA model. (n.a). Positive Psychology Melbourne. Here. What is PERMA? The technical definition. (2012) Go Strengths! Here. thank you for useful and intelligible text. 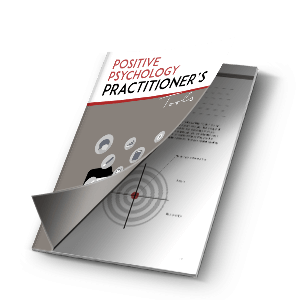 Amazing, I love learning about Positive Psychology and the resources available to use. When I initially qualified in psychology it was all about studying theories proposed by a group of dead Germans and learning how we may be able to fix people when they broke. It had parallels with medicine in the way that it has evolved to look at how to make the best of people so they are resistant to breaking. Martin Seligman has to be credited to this shift towards positive psychology. “Authentic Happiness” has to be one of the most influential publications in the field. This post has been updated on the 24th of February 2017. Please enjoy! ou pouvais je trouver ce modele en Français, exercice, approche…. Bonjour Ines, je suis pas sure si ou où ce modele est disponible en Francais. Est-ce que tu as essayé Google.fr? Hello, I’m just curious about the scientific status of this PERMA model. Has it been validated scientifically? Thank you very much. The PERMA model is scientifically verified and peer reviewed – there are many published articles. Check out Dr Martin Seligman’s (Psych, University of Pennsylvania) website for more details. I would also argue that PERMA as Seligman describes it is not just about ‘psychological wellbeing’. Rather, it’s about wellbeing itself, and aims to be a comprehensive list of objective goods. Psychological wellbeing would imply subjective states ontologically, albeit objective in existence. But wellbeing itself, or flourishing, is an objective state which is only partially instantiated by psychological factors. Thank you for the summary Mariana!